Today is Autism Day. Autism is an often misunderstood diagnosis; many think of it as a disease. Furthermore, there is a thriving industry of autism woo that capitalises on that misunderstanding. Under the DSM-5, autism is characterized by persistent deficits in social communication and interaction across multiple contexts, as well as restricted, repetitive patterns of behavior, interests, or activities. These deficits are present in early childhood, and lead to clinically significant functional impairment. 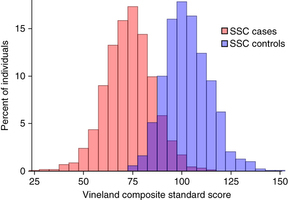 Vineland score, adapted from BioRxiv. Deficit means that it is less than some baseline, in this context probably that expected of a person of that age. Clinically significant functional impairment is a rather strong and confusing term. It basically means that the deficit causes problems for which you (might) want to seek help. In a recent article in Nature Genetics (NG), many interesting things were noted. For instance, they describe a Vineland scale of adaptive behaviour that gives a measure of social, communication and daily living skills as reported by the parents of 2497 diagnosed children and their 1861 siblings as a control. A histogram of the data can be seen to the right, where there is a very clear difference between the scores of the two groups. But what are its origins? As the NG article shows, those genetic components that often coincide with an autism diagnosis are spread among the population. The degree of heritability is also very high, as shown by twin studies. More evidence for the genetic component being primary lies in mouse and even macaque studies. As many as fifteen genes are associated with autism; this is just the start. For accuracy, I must inform you that the genetic component does not fully explain autism. There is a very interesting and helpful perspective called neurodiversity. As the NG article shows, traits are common throughout the population. Everyone is different, unique. Many other traits, e.g. length, intelligence, ability to keep up with technology, are variable within a population. Is that not normal biological variation (diversity)? Brains are biological; their growth is controlled by genes and genes vary by many different processes. Variation is to be expected. Autism can be seen as a group identified by a (complex) trait, just as you can identify the jocks and cheerleaders in any American High School movie. The decision of the DSM-5 (2013) to speak of ASD instead of a few subtypes reflects this view. That decision was based on genetic and neurological studies. The actual traits of autism, despite the diagnostic criteria, are differently felt by those with a diagnosis. Instead of focussing on the diagnosis, I will just tell some of my story and trouble. I was diagnosed with ASD at the age of fourteen. The first few years were hard, and little progress was made. In a radical move, a therapist decided to tell me the diagnosis was wrong; to this day, I cannot decide if this was misguided. Either way, some progress was made when I stopped thinking I could not do things because of my diagnosis. Progress stopped after a few months, but the problems did not go away. When I was aged 21, I slowly grew more emotionally unstable; near the end of my bachelor's degree of science at the age of 22, I sought out therapy again. I was retested, with a clear diagnosis of ASD. I was devastated; I felt broken. However, in a few weeks time I would start searching scientific literature and some stories shared by others with a diagnosis, and finally fully appreciated the neurodiversity perspective. I dedicated myself to learning what specific traits made me different. For instance, I often encounter severe problems with visual explanations. Often visual explanations only make sense if I translate them into text or mathematics; yet equally often I can not figure them out. Another important trait is that large groups of people are emotionally draining, and going to lectures involving larger groups destroys my concentration and retention for most of the day. Many misunderstand me when I say larger groups; usually, it is about ten people. I finished my bachelor, and entered the master's degree with the lessons learned. I've now trained myself sufficiently that people simply reject my diagnosis - yet I know better. I have not learned "how to behave normal", but how to function. I'm no longer trying to emulate, but to communicate. And that makes a lot of difference. I still have only a few friends, by choice. I have learned discipline, I have learned how to function with my impairments. I've learned how to minimise communication issues I encounter. And I've learned never to stop learning. Even now, I revise social situations, trying to figure out facial expressions or other non-verbal communication I had misinterpreted. Before a presentation, I practise non-verbal communication at home; I make faces into a mirror and practise gestures. By now, non-verbal communication is becoming habit, as intended. I would like people to avoid a few things. First, don't call me high-functioning. Would you call a professional sporter "lucky to be talented"? By calling me high-functioning, you are implying that I only have a minor disability that can be easily managed. As far as my feelings are concerned, you are dismissing the effort I make in managing my disability. Second, please refrain from saying that you have some traits of autism. 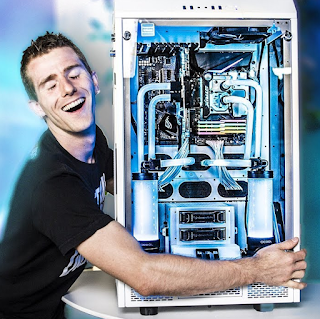 Everyone does, as the NG article shows. I understand that it's not intended, but it sounds almost as if you're saying you're similar, so that it can't be all that bad. Third, don't start about people you know that have a diagnosis, especially not that you know people that are successful. I know people with autism can be successful, and I don't need to be reminded. I don't need encouragement. Fourth, never start me on Einstein. I adore Einstein in most respects, and his scientific work is exemplary. However, you know probably know very little about him and are very likely to repeat myths. Einstein was never diagnosed and his IQ was never measured. Finally, do not try and explain to me how some woo you've read explains all that. 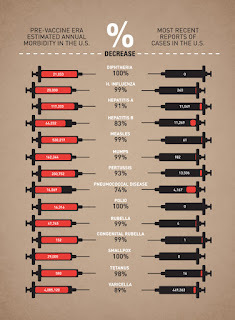 Don't blame it on vaccines. Don't try to get me on a gluten-free diet. Please don't tell me to "detox". Just accept that I am different. What would I like people to do? First, try not to rely on nonverbal communication. It is often hard for me to read. For instance, when you tell an anecdote it is a lot simpler to add your verdict; this leaves no room for misinterpretation. The second is to remind me of my errors. I fear repeating errors and distantiating people by errors that I am ignorant of. The third is to allow for my planning. I understand that people like spontaneity, but for me that is often stressful. I need to spend a lot of time alone, and sudden changes can still make me anxious. Finally, do these things in general. Clarity in communication is becoming more and more important, as you encounter people with less social and cultural overlap. It has become clear that a large part of the population has trouble with such things; it is far simpler to make a habit of accounting for these. We've gone over what autism is, what origins it has and some of the ways in which I've experienced it. Furthermore, I have given some suggestions on things to avoid and things to apply. I sincerely hope that this has given you some insight. Perhaps it will make things easier for those in your environment, even if you don't know of them. After all, some of these traits are shared even by people without a diagnosis.